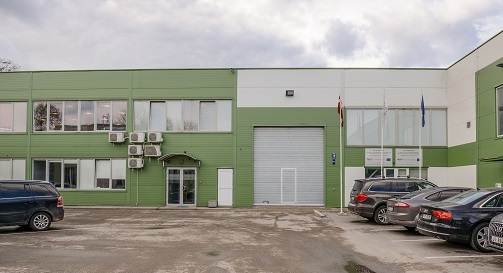 Although officially the address is on Ventspils Street, our main office and production premises are located in Spāres Street. Please follow the map and look for a flag-posted entrance to get to the main office. Nr 22 from the airport, getting off at Kauguru iela. Nr 53, to/from the centre, getting off at Kauguru iela/Ventas iela. Nr 8, to/from the centre, getting off at Astras iela. Nr 236 (minibus), to/from the centre, getting off at Kauguru iela/Ventas iela. For more information or alternative routes see the offical Riga Public Transport website.